If you are having a problem or question, please review these FAQs for learning Japanese online at Nihongo-Pro. If you cannot find an answer here, please contact Nihongo-Pro support. What makes Nihongo-Pro classrooms better than Skype chat? How does Nihongo-Pro compare to other online Japanese schools? What kind of teachers are available at Nihongo-Pro? What kind of curriculum is offered at Nihongo-Pro? What do students say about learning Japanese at Nihongo-Pro? Will Nihongo-Pro lessons work on my computer? Can I choose my private-lesson teacher? Do I need to reserve my private lesson? What is the deadline for reserving a private lesson? Can I cancel a private-lesson reservation? Can I get a refund for a private lesson I missed? What textbooks are used in private lessons? How do I login to the classroom for my lesson? How do I set up my computer for Japanese text? I cannot log in to the Nihongo-Pro classroom. My voice or the teacher’s voice breaks up in the classroom. I hear echoes when I talk in the Nihongo-Pro classroom. My teacher hears echoes when I talk. I cannot hear anything in the Nihongo-Pro classroom. Easy to use, nothing to install. Log in from your browser. Test drive our classroom here. Nihongo-Pro teaching staff includes government-certified Japanese teachers with advanced teaching experience, including experience with online Japanese lessons. All teachers complete two months of paid training and participate in our continuing teacher education sessions. Other schools may force you into their curriculum, but at Nihongo-Pro you get private lessons tailored specifically to your Japanese goals. Learn more about private lessons. You earn points for every paid Nihongo-Pro lesson you take. Then, you can redeem your points for free online Japanese lessons! Learn more about ProPoints program. ProPad lets you and your teacher share a real-time whiteboard where you can practice Japanese writing, learn kanji stroke orders, even play Japanese games! ProPad is fun and effective, and no other online Japanese school has it. Hiroba is our community for Japanese learners and fans. You can meet new friends, set up chats with other Japanese students, get tips for learning Japanese, ask questions, talk with Nihongo-Pro teachers, and more. 100% free! 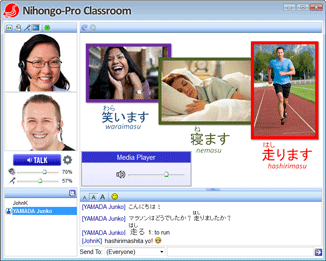 Nihongo-Pro offers a 24-hour-a-day video chat room, free to everyone. Practice speaking Japanese with other students and Japanese learners, or simply meet up for free chat. Fit online Japanese lessons into your busy schedule up to 30 days in advance. Other schools may allow reservations only 7 days in advance, or charge extra for 30-day advance booking. If you’re considering private online Japanese lessons, try before you buy. Meet your new Japanese teacher, discuss what you want to focus on during your online lessons, and then get a taste of your teacher’s lesson content and style. Learn more about private lessons. Nihongo-Pro respects your privacy: No one but your teacher sees your email. All we ask is that you respect your teacher's time. Lesson tickets are good for 3 to 12 months, depending on how many tickets you buy. If you need more time, Nihongo-Pro offers low-cost ticket extensions. At other schools, you can lose unused tickets. Free Japanese quizzes—100% free to everyone! Try free Japanese language quizzes every day at Nihongo-Pro. Nihongo-Pro quizzes work on any PC, smartphone, or tablet, so you can try our free quizzes anywhere. Practice hiragana and katakana, or test your kanji knowledge with free games. Look up animated stroke order, sample words, and other details of over 6,000 kanji with KanjiPal. Learn more about free kanji games and kana games. Never pay an introductory or entry fee at Nihongo-Pro. Nihongo-Pro teachers are professional Japanese teachers, trained in teaching Japanese and teaching online. Our careful selection process and paid teacher training ensure your Nihongo-Pro teacher is expertly prepared for your lesson. Many students have taken online lessons from their Nihongo-Pro teachers for years, as they progressed in learning Japanese. Learning Japanese is more than chatting in Japanese. In our private lessons, Nihongo-Pro teachers build lesson plans customized to your goals and learning style. See all Nihongo-Pro teachers here. Private lessons at Nihongo-Pro are fully customized to your needs and goals, ensuring that you will learn Japanese online as quickly and efficiently as possible. Whether you are studying for the Japanese Language Proficiency Test (JLPT), learning business Japanese, focusing on written Japanese, or learning Japanese for fun, Nihongo-Pro teachers tailor your private online Japanese lessons to make your learning fast, efficient, and fun. The student or teacher reads from the textbook. With no whiteboard for lesson materials, the teacher relies on verbal instruction to direct the student. Limited learning environment means slower learning. Your Nihongo-Pro teacher presents textbook and custom lesson materials on the whiteboard, guiding you just as if you were in a real classroom. 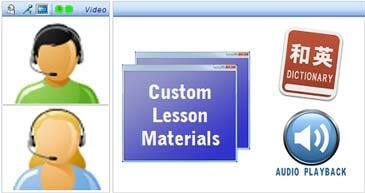 Custom lessons in a custom classroom make your Japanese learning fast and efficient. Enrollment is free. Enroll for online Japanese lessons. Our students are our greatest supporters. Many of our students have studied Japanese for years with their Nihongo-Pro teacher, progressing step by step in their Japanese language skill. But don't just take our word for it: Read student testimonials. In all my years of learning, Nihongo-Pro has been the most efficient method! I’ve been studying Japanese for about 7 years, and I wish I had discovered Nihongo Pro way earlier! I actually live in Tokyo so I have access to many Japanese schools and private teachers here, but I found them to be a waste of time because group lessons would go either too fast or too slow for me, and even the private teachers I had here just stick to their own methods and didn’t feel flexible enough, not to mention that private lessons in person are way more expensive and there’s also commuting time and expenses to add to the bill. Nihongo-Pro answers my needs because I can advance at a challenging but still personalized pace, so it feels truly productive and I am learning so much! What amazes me the most is that for every lesson I get a summary email with what we covered, so that reviewing is super easy, clean and organized. I have the pleasure to study with Nagata-sensei, who has been the most amazing teacher I ever had! Thanks to her I am very close to getting my first job in a Japanese company. She has prepared me for Japanese job interviews and I already passed 2 out of the 3. I truly couldn’t have done it without her. Note: Choose the server located in Dallas, TX (south central U.S.) for the speed and ping tests. No, web cams are optional for students. All Nihongo-Pro teachers use a web cam. Nihongo-Pro accepts PayPal payments, wire transfers, Western Union transfers, checks drawn on a U.S. bank, and money orders. In the case of wire transfers outside of PayPal, you are responsible for transaction fees. To pay by check, checks must be drawn on a U.S. bank. Money orders must be in U.S. dollars. For wire transfer, Western Union transfers, or checks, please contact Nihongo-Pro support for payment details. Yes. If you have a preferred teacher, let us know when you complete the enrollment form for private lessons. Or, let us do the work for you. We will match you with one of our experienced Japanese teachers based on your level, goals, and desired lesson times. Your assigned teacher will prepare a customized curriculum for your online lessons, and will instruct all of your private lessons. If you need more flexibility in private lessons, you can take lessons from two or more teachers, who will work together to prepare a coordinated lesson plan to meet your Japanese language goals. Yes, all Nihongo-Pro lessons require a reservation. Each 50-minute private lesson is US $28 to $35 (depending on how many tickets you buy). You can purchase any number of tickets, from 1 to 100. Tickets are good for 3 to 12 months from the date of purchase, depending on the number of tickets you buy. After that, if you need more time, you can buy a low-cost extension for unused tickets. The reservation deadline depends on your teacher, and varies from 24 to 48 hours before class. You can cancel a private-lesson reservation until 24 hours before lesson time. After that, the reservation cannot be cancelled. No, we cannot refund a lesson ticket after the cancellation deadline (24 hours before class), even if you could not take the lesson for reasons beyond your control. Our private lessons are customized for each student, so a variety of textbooks are used. You and your teacher will decide which textbook to use during your trial lesson. We recommend Amazon.co.jp if you live outside Japan. Amazon.co.jp is one of several Amazon sites; each site (Amazon.com, Amazon.co.uk, Amazon.co.jp, etc.) operates separately, and your account at each site is separate. Amazon Prime offered at one Amazon site cannot be used at the other sites. Also, Amazon Prime cannot be used for international shipments. Used books are available at Amazon.co.jp from third-party sellers; however, most sellers do not ship outside Japan. Open the Amazon.co.jp URL your teacher sent you. Many popular Japanese textbooks are series with many different books. Please use the URL your teacher sent you to make sure you get the right book. If the page is in Japanese, click “Would you like to see this page in English? Click here.” Most of the page content will switch to English. Click “Proceed to Checkout”. If a message regarding Amazon Prime appears, click “No Thanks”. Amazon Prime cannot be used for shipments outside of Japan. Next, register with Amazon.co.jp. Enter your email address and choose “I am a new customer”. Click “Sign in using our secure server”. Enter your name, email address (again), and choose a password. In the “Name Pronunciation” box, enter your name again. Click Continue. On the shipping address page, click “Add an international address”, and then enter your address. The “Choose your shipping options” page will appear. For international shipments (most countries), AmazonGlobal Priority Shipping is the only option. Click Continue. On the “Select a payment method” page, click “Add a card”, and enter your credit card details. Click Continue to get to the final order review page. The only payment method available outside Japan is a credit card. Making payment at convenience stores is available only inside Japan. US customers: You can pay in dollars or yen. If you pay in yen, your credit card company may charge a foreign transaction fee. The fee can be 5% or more, so buying in dollars is usually a better deal. Review the order details, click “Place your order”, and you’re done. Depending on where you live, the order should arrive 3 to 7 days after the shipping date. For more info, please visit Amazon.co.jp International Shipping. If you need help finding or ordering a textbook, please contact Nihongo-Pro support. Each teacher has his or her own classroom. All lessons (except trial lessons) are held in that classroom. At your lesson time, login to Nihongo-Pro as usual (click "Login" on the menu, or login here). A link to your teacher's classroom will appear five minutes before your lesson starts. Click the link to enter the classroom. If the link does not appear, please login as usual, choose "All Classrooms" from the "Classrooms" menu, and click your teacher's classroom link. Most computers can display Japanese without any special setup. Follow these instructions to set up your computer so you can enter Japanese text, too. No special equipment (Japanese keyboard, etc.) is needed. See more tips on Japanese text. Be sure you have completed the classroom setup. 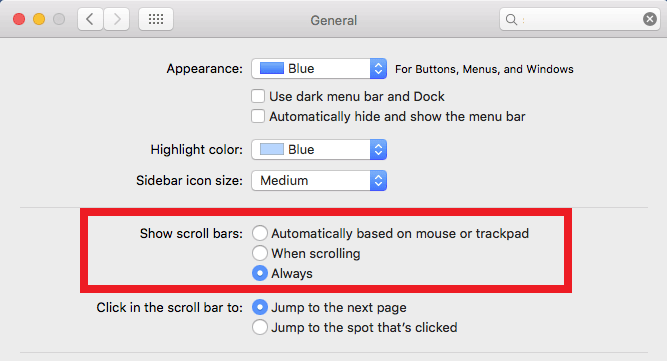 Check your browser's privacy/cookie settings. Double-check your anti-virus program. Some programs interfere with the classroom. Your Internet connection may be slow or having problems. Make sure any other windows that use the Internet are closed. Reduce your camera quality, or turn off your camera. Turn off your video reception. Run these Internet connection tests. Do you hear loud echoes of your own voice? The cause depends on whether you hear echoes when your teacher's TALK button is on. Do you hear loud echoes regardless of whether your teacher's TALK button is on or off? NOTE: Muting a microphone does not mean turning off the microphone; muting keeps the microphone’s sound from being echoed in your speakers. Open the “Sound and Audio Devices” control panel. In the “Device volume” section, click the Advanced button. This opens the Master Volume window. Look for a column labeled “Microphone”. If this column is not present, click the Options menu and choose Properties. In the list at the bottom of the popup window, put a check next to Microphone. Click OK.
Look for the Microphone column. If this column is not present, click the Options menu and choose Properties. In the list at the bottom of the popup window, put a check next to Microphone. Click OK.
Near the bottom of the Microphone column, there should be a checkbox labeled “Mute”. Make sure it is checked. Do you hear loud echoes only when your teacher's TALK button is on? Do you hear faint echoes of your own voice? YES: Your teacher needs to reduce his/her microphone volume. A high microphone volume causes your voice (delivered to your teacher’s computer) to bleed into your teacher’s microphone, and then get re-delivered to you as an echo. The problem is likely your microphone. Check your headset batteries (if any). Turn off sound mixers from your computer’s sound control panel. If your webcam or computer has a built-in microphone, try using it instead of your headset’s microphone. Use a noise-canceling headset (a headset with a built-in noise-canceling microphone) for the best sound quality. Make sure the volume (if any) on your headset is turned up. Check that the headset is plugged in and the batteries are good (if any). Check that your computer’s sound is not muted. Log out of the classroom, and log in again.